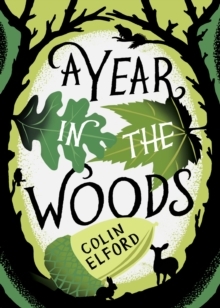 Colin Elford's A Year in the Woods is an enthralling journey into the heart of the English countryside - with a preamble from Craig Taylor. 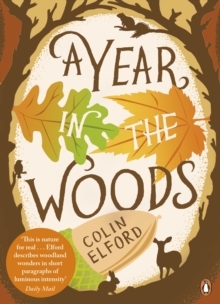 Colin Elford spends his days alone - alone but for the deer, the squirrels, the rabbits, the birds, and the many other creatures inhabiting the woods. From the crisp cold of January, through the promise of spring and the heat of summer, and then into damp autumn and the chill winds of winter, we accompany the forest-ranger as he goes about his work - stalking in the early morning darkness, putting an injured fallow buck out of its misery, watching stoats kill a hare, observing owls, and simply being a part of the outdoors. Colin Elford immerses himself in the richly diverse and unique landscapes of Britain, existing in rhythm with natural environments. For fans of Robert Macfarlane's Landmarks, Helen Macdonald's H is for Hawk orJames Rebanks' A Shepherd's Life, Colin's rare and uplifiting journey will unveil the true nature and beauty of Britain's countryside. 'This is nature for real . . . Elford describes woodland wonders in short paragraphs of luminous intensity' Daily Mail'A poetic insight in the world of hidden Nature' Countryman'Stalking sharpens the senses and there is an almost hallucinatory clarity to Elford's writing' Observer'Refreshingly unsentimental. Contains some wonderful descriptions and sentences which are so profound they demand a second reading' Sunday ExpressColin Elford is a forest ranger on the Dorset/Wiltshire border.